French musical composer, the son of a Paris printseller, was born at Caen in Normandy on the 29th of January 1782. Destined by his father to the pursuits of trade, he was allowed, nevertheless, so indulge his fondness for music, and learned to play at an early age on several instruments, his first teacher being the Tirolean composer, I. A. Ladurner. Sent at the age of twenty to London to complete his business training, he was obliged to leave England in consequence of the breach of the treaty of Amiens (1804). He had already attempted musical composition, and at this period produced several concertos pour basse, in the manner of the violoncellist, Lamarre, in whose name they were published. The praise given to his concerto for the violin, which was played at the Conservatoire by Mazas, encouraged him to undertake the resetting of the old comic opera, Julie (1811). Conscious by this time of the need of regular study of his chosen art, he placed himself under the severe training of Luigi Cherubini, by which the special qualities of the young composer were admirably developed. 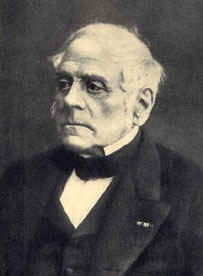 In 1813 he made his debut in an opera in one act, the Séjour Militaire, the unfavorable reception of which put an end for some years to his attempts as composer. But the failure in business and death of his father, in 1819, compelled him once more to turn to music, and to make that which had been his pastime the serious employment of his life. He produced another opera, the Testament et les billets-doux (1819), which was no better received than the former. But he persevered, and the next year was rewarded by the complete success of his Bergère Châtelaine, an opera in three acts. This was the first in a long series of brilliant successes. In 1822 began his long association with A. E. Scribe, who shared with him, as librettist, the success and growing popularity of his compositions. The opera of Leicester, in which they first worked together (1823), is remarkable also as showing evidences of the influence of Gioacchino Rossini. But his own style was an individual one, marked by lightness and facility, sparkling vivacity, grace and elegance, clear and piquant melody -- characteristically French. In La Muette de Portici, familiarly known as Masaniello, Auber achieved his greatest musical triumph. Produced at Paris in 1828, it rapidly became a European favorite, and its overture, songs and choruses were everywhere heard. The duet, "Amour sacré de la patrie", was welcomed like a new Marseillaise; sung by Nourrit at Brussels to 1830, it became the signal for the revolution which broke out there. Of Auber's remaining operas (about 50 in all) the more important are: Le Maçon (1825), La Fianceé (1829), Fra Diavolo (1830), Lestocq (1834), Le Cheval de bronze (1835), L'Ambassadrice (1836), Le Domino noir (1837), Le Lac des fées (1839), Les Diamants de la couronne (1841), Haydée (1847), Marco Spada (1853), Manon Lescaut (1856), and La Fiancée du roi des Garbes (1864). Official and other dignities testified the public appreciation of Auber's works. In 1829 he was elected member of the Institute, in 1830 he was named director of the court concerts, and in 1842, at the wish of Louis-Philippe, he succeeded Cherubini as director of the Paris Conservatoire. He was also a member of the Legion of Honor from 1825, and attained the rank of commander in 1847. Napoleon III made Auber his Imperial Maître de Chapelle in 1857. One of Auber's latest compositions was a march, written for the opening of the International Exhibition in London in 1862. His fascinating manners, his witty sayings, and his ever-ready kindness and beneficence won for him a secure place in the respect and love of his fellow citizens. He remained in his old home during the German siege of Paris, 1870-71, but the miseries of the Communist war which followed sickened his heart, and he died in Paris on the 12th of May 1871.